Havana Jack’s is a breath of fresh air at water’s edge Unique in every aspect from our location to our menu, we are far from the traditional calamari and shrimp cocktail type restaurant. Every chowder and sauce is made in house daily, and paired with seafood straight from sea to the dock to us, it’s so fresh we print it each and every day on our chalkboard menu. Creative culinary innovation has resulted in presenting a variety of scrumptious dishes that are distinctly our own. Experience the highest fresh food standards supported by our Caribbean, Havana, and American infused dishes that have been creatively designed. 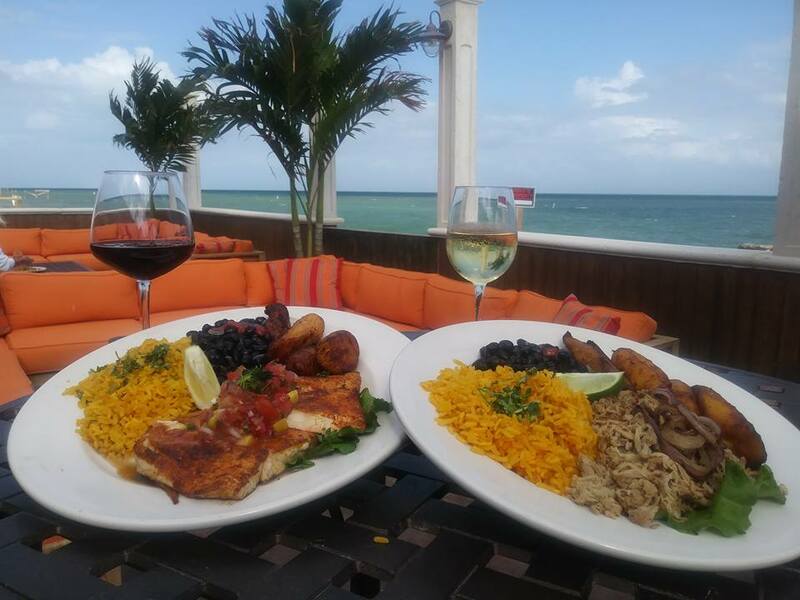 Feast on such delights as our Sautéed Crab Cakes, Grouper Oscar, nightly fresh fish specials and Steaks. The view from our Tiki Bar, restaurant and patio deck overlooking the Atlantic Ocean speaks for itself. Wonder out on our pier and experience what the locals call the million dollar view.The plush outdoor oceanfront patio is reminiscent of a tropical retreat offering picturesque locations for guests to mingle, dance, sip cocktails and smoke fine tableside cut cigars. Our restaurant is open 11am-9:30pm 6 days a week and our lounge and Bar are open from 11:00am until 11:00pm, 6 days a week. Spend the afternoon at Havana Jacks with a specialty mojito in one hand, a fine cigar in the other, while enjoying a stunning view of the Atlantics turquoise water. From our exclusive on the water ambiance to our incredibly fresh and delicious food and beverage offerings, Havana Jacks has it all. Great food, drinks, and entertainment to enjoy with friends. With the cool mood of the Caribbean, Havana Jacks features world class spirits, fine wines and specialty beers. We pride ourselves on our wide selection and “rare finds” as well as our extensive selection of single malt scotches, small batch bourbons, blended Irish and Canadian whiskeys along with an ample amount of cognacs. Havana Jacks “World Famous” lounge services includes a variety of imported and craft beers, fine wines and an extensive selection of infused vodkas, botanical gins, aged rums, 100% agave tequilas and a fine compliment of liquors, digestives, ports, champagnes, and sherries for your enjoyment with or without your favorite cigar. Always tasteful, our entertainment includes interactive customer entertainment ranging from acoustic performances, DJ’s, trivia, and other live events. Our entertainment includes a wide variety of music, guest participation, high energy and sheer excitement! Havana Jacks is one of the best casual fine dining and entertainment lounges in the Keys, if not in the country. Our educated bartenders and customer staff team members always enjoy interacting with our guests and have a vast knowledge of every menu offering. Our guests will frequently be asked to taste various rums or sample some unique blended wines; our team will be your tour guide taking your taste buds on a much needed vacation from the norm, not only providing sufficient information to elevate the guests experience, but also allowing our valued visitors with the opportunity to expand their own knowledge.